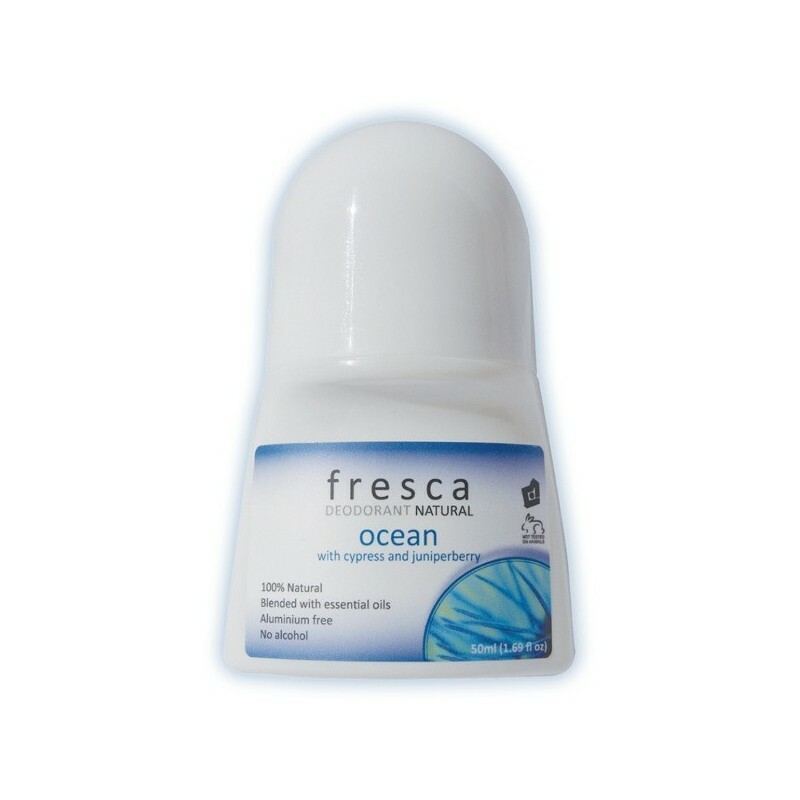 Fresca deodorant is 100% natural, vegan, certified cruelty free and palm oil free. Naturally eliminates odor without aluminium or pinching sweat glands. Made in Australia. Ocean scent with cypress and juniperberry. 50ml. 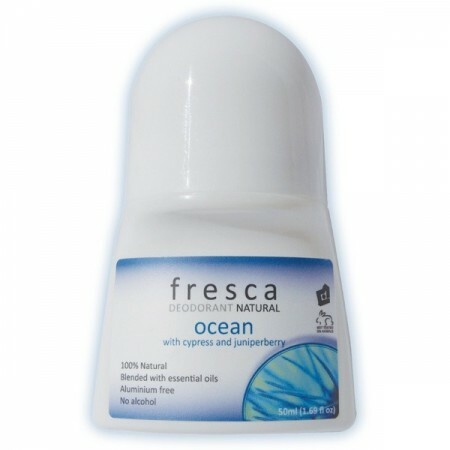 Ocean scented with cypress and juniperberry - unisex scent. 50ml / Purified water, aerated salt, vegetable gum (food grade xanthan gum derived from the cabbage plant family), essential oils of spruce, cypress, juniper berry, cedar wood, frankincense, neroli, geranium, lavender, carrot seed.